From a renowned historian who writes with "maximum vividness" (The New Yorker) comes the most authoritative, readable single-volume history of the brutal struggle for the Holy Land. Nine hundred years ago, a vast Christian army, summoned to holy war by the Pope, rampaged through the Muslim world of the eastern Mediterranean, seizing possession of Jerusalem, a city revered by both faiths. Over the two hundred years that followed, Islam and Christianity-both firm in the belief that they were at God's work-fought for dominion of the Holy Land, clashing in a succession of chillingly brutal wars: the Crusades. For the first time, this book tells the story of that epic struggle from the perspective of both Christians and Muslims. A vivid and fast-paced narrative history, it exposes the full horror, passion, and barbaric grandeur of the Crusading era, leading us into a world of legendary champions-such as Richard the Lionheart and Saladin-shadowy Assassins, poet-warriors, and pious visionaries across the desert sands of Egypt to the verdant forests of Lebanon and through the ancient cities of Constantinople, Cairo, and Damascus. 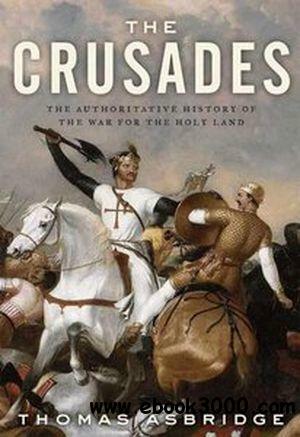 Drawing on painstaking original research and an intimate knowledge of the Near East, Thomas Asbridge uncovers what drove Muslims and Christians alike to embrace the ideals of jihad and crusade, revealing how these holy wars reshaped the medieval world and why they continue to influence events today.